We do business in BC so we cannot come to you in WA or the USA or the REST OF CANADA – wherever you might be so there are some limitations that you need to be aware of. 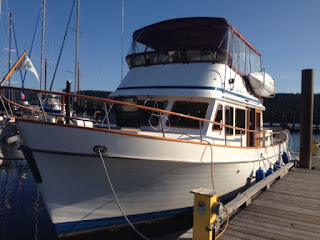 It is a good deal though if you are cruising the BC Coast along the Inside passage this summer and could save you lots of money and it is always nice to feel safe. We are equipped to meet you almost anywhere on the Coast if you are having fuel problems. We regularly service the mainland and anywhere on Vancouver Island included the Broughtons and Desolation Sound. Losing power because your fuel tank is dirty is very scary. I know because we are boaters too and we have taken on bad fuel from time to time and got stuck out in the middle of the straight – we always keep extra filters onboard so that we can make it back to a dock! Bad fuel in your tanks is not safe! Call now 250 634 8128! Water gets into your tank by a broken vent, a cap left off the fuel tank. You have bad fuel delivered – although this is rate it does happen – it gets compounded if you fill up at the end of the season and the fuel is in your tank all winter. By spring you have a real problem. You leave the boat with half full tanks over the winter in a heated boathouse and one side of the tank is cold and the other side hot – this causes the tank to sweat again introducing water which breeds bacteria. The common denominator in all bad fuel and bacterial infected tanks is WATER! That is the main ingredient in a bacterial infestation. The bacteria will breathe the oxygen in the water and eat the paraffin wax in the fuel.